I want to rip image, sound or subtitles of Blu-Ray discs (or a choice between all this) to Avid DNxHD Quicktime containers, or straight copy of streams to product a trailer for a Blu-ray movie. What do you use that works? 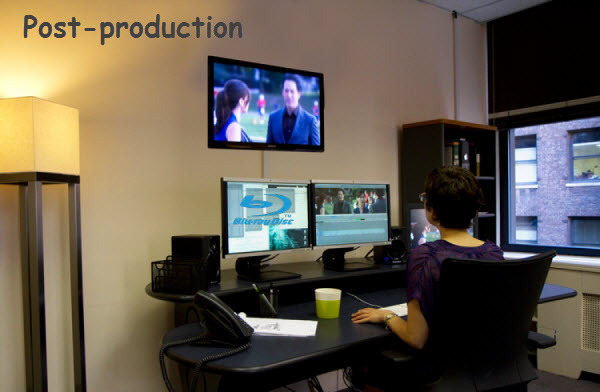 Many Blu-ray lovers are looking for the way to edit their favorite BD in editing tools for post-production use to create their masterpiece. However, the users found easily that they can not directly import the Blu-ray movie to Avid Media Composer for editing or QuickTime for playing. Then how can they upload the Blu-rays to editing systems or media players for post production? If it’s the case, then you’re right being here. In this article, we’ll show you a free way to rip Blu-ray discs at ease. A. One easy and free method is to make an MKV file (MKV is a file container format that can hold video, audio, picture, and subtitle tracks in a single file). Using MakeMKV- free while in beta, which it has been for several years- you can decrypt a Blu-ray disc and save whatever parts you want (if you don’t need the 7.1-channel audio mix, for example, just uncheck it) into an MKV container. This takes about half the duration of the movie; when the decryption is finished, you have an MKV file that you can play back with VLC or other software. 1. Launch MakeMKV and o then scans and imports the Blu-ray disc. 2. Select any options from the side menu, choosing whether to include all audio streams, subtitles, or only include specific languages. 4. Click the “Make MKV” button to start the conversion process. B. The second method is to find an easy-to-use yet professional Blu-ray Ripping tool for Win/Mac, which supports ripping and converting Blu-ray movie in one-stop. The most important is that it should provide more output formats for you like MP4, AVI, WMV, MOV, FLV, MPG, not limited to MKV as MakeMKV does. A friend of mine talked to me of Pavtube 2 or 3 years ago, when I tried several BD rip softwares 2 weeks ago, I put Pavtube BDMagic for Win/Mac in the short list. With it, you can transcode Blu-rays to the editable and playable format first before importing. Best of all, it can load Blu-ray/DVD disc, blu-ray/DVD folder or IFO/ISO files with no CSS, region code or analogue copy protections to the software for converting/ripping with the best quality and fastest speed for post production. Download the tool and learn a simple guide on ripping Blu-ray within 3 clips. Read how to rip Blu-ray for editing in Final Cut Studio, Premiere Pro/DaVinci Resolve and Cyberlink PowerDVD. 1. Launch the Blu-ray Ripper and import Blu-ray movies to it. 2. Choose output format via clicking the Format bar. 3. Press the big “Convert” button to start the Blu-ray ripping process. 1. If you want to rip and convert your Blu-ray library to different video, audio formats and to more manageable file sizes for playing, editing, uploading, streaming anywhere, Pavtube BDMagic is a better choice, for achieving these aims in one stop. 2. No matter which Blu-ray ripping program you choose, anywhere from 30 to 60 GB of hard disk space is needed depending on what you’re ripping. Blu-Rays are big, and we’re going to rip the whole thing to our drive first, so depending on the movie you’re ripping and the quality you want in your final movie file, you’ll need a good amount of space. In addition to Blu-ray, you can also import WMV to MovieMaker/FCP and edit OBS Files in Avid, Sony Vegas Pro, Windows Movie Maker. Why not Backup personal sci-fi Blu-ray collection on iPad Air 2 keeping 1080p quality?